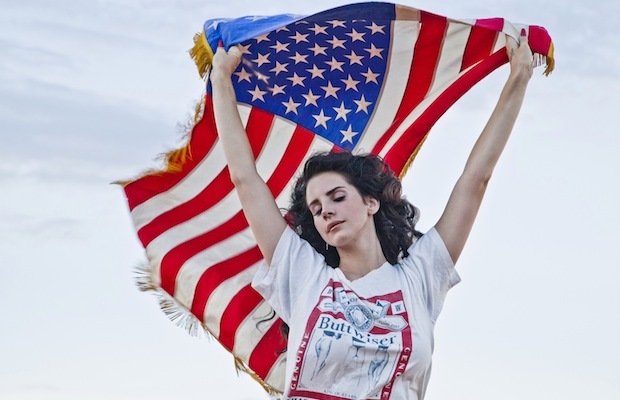 [RUMOR MILL] Lana Del Rey Recording in Nashville; Dan Auerbach Producing? Lana Del Rey has been spending a lot of time in Nashville over the past few weeks. That much we know for sure. Why Music City, you ask? Well, according to our sources, the 27 year old songstress is hard at work in Dan Auerbach‘s Easy Eye Sound recording studio, and Auerbach himself is said to be handling production duties. The sessions are rumored to be for Del Rey’s upcoming, highly-anticipated third (or second, depending on how you’re counting) full-length release, Ultraviolence, which the singer announced last month at the premiere of her new short film, Tropico. Auerbach and his Black Keys’ cohort Patrick Carney were famously quoted in 2012, after Lana’s much-talked about Saturday Night Live debut, as saying that they “feel bad for artists like Lana Del Rey,” subject to public scrutiny after quickly rising to fame, though the group have not been linked to the singer since. In recent years, Auerbach has produced releases from a diverse array of artists, including JEFF the Brotherhood, Dr. John, Grace Potter, Bombino, Jessica Lea Mayfield, and more. Though Lana would certainly be his biggest stylistic departure to date, imagining what’s Dan’s production sensibilities could do within the parameters of Lana’s established niche is intriguing, to say the least. In the past, Del Rey has consistently relied on co-writers to help fully realize her artistic vision. Auerbach could potentially be an asset in this regard as well, but we would expect her to pull in additional outside writers. Though several Nashville-based writers come to mind, Butch Walker, a friend of The Black Keys’, fellow producer, and sometimes Music City resident, who has a pretty stellar track record for writing unabashedly (and measurably successful) pop songs for a huge array of artists, seems like a safe bet. Plus, we know Butch has been hanging around town lately. Sure, he’s working on his own stuff, but sneaking off for some Lana Del Rey co-writes? Stranger things have happened. Are you excited for Ultraviolence? Do you think Dan Auerbach is a good fit for Lana? Sound off in the comments! [Preview] Angel Olsen @ Mercy Lounge TONIGHT! Pingback: Segundo site, Lana Del Rey está trabalhando com Dan Auerbach | Lana Del Rey Brasil | Sua principal fonte sobre Lana Del Rey no Brasil! Do you know how long she will be in Nashville my friend? Pingback: Dan Auerbach estaria produzindo novo disco de Lana Del Rey | TMDQA!